PROFESSOR Green is confirmed to attend the MOBOS in Glasgow tonight for his third time ever. The UK born Prof won his first MOBO Award in 2010 for Best Hip Hop Act and has achieved two Top 3 albums and over 2.5 million combined sales in the UK alone. He has just returned with a brand new single One Eye on The Door – produced by Diztortion. 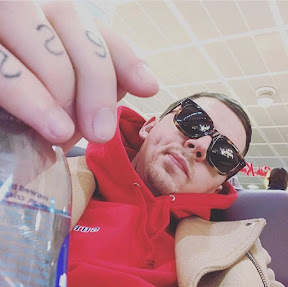 Over the past year, Professor Green (aka Stephen Manderson) has presented three critically acclaimed BBC documentaries, and published his autobiography. He said: "Gassed to be back performing at the MOBO Awards for a third time and looking forward to enjoying Glasgow afterwards"
The 21st annual MOBO Awards, hosted by Rickie & Melvin, will be broadcast live from Glasgow on ITV2 at 8pm. Highlights in this year’s nominations include Mercury Prize winner Skepta picking three nominations for Best Male, Best Album and Best Grime Act. Grime king Kano and Birmingham soul singer LAura Mvula lead the pack with four nominations each. Three-time MOBO Award winner Craig David will also return to the stage, marking his first solo MOBO Award performance since his unforgettable debut back in 2000. Craig is nominated for Best Male and Best Song for ‘When The Bassline Drops’ (featuring Big Narstie). Making their MOBO debut is Grammy Award-winning British electronic music group Clean Bandit who will be joined on stage with our 2016 Best Newcomer nominee Anne-Marie, performing their latest smash: ‘Rockabye’. This will be the classical dance-pop band’s first performance since violinist Neil Milan left the band. One of the UK’s brightest music stars Lady Leshurr is set for a powerhouse performance. The Birmingham MC who counts US comic Dave Chappelle and Estelle as fans is universally known for her viral ‘Queen’s Speech’ freestyle series and this year she is up for the prestigious MOBO Award for Best Female Act. Leshurr is also fronting a new campaign with NHS Blood and Transplant and MOBO called Represent, raising awareness for the lack of blood donors within the black and Asian communities. The focus of the campaign is a compeling 1’44” film featuring Paving The Way winner Nicola Adams MBE, Chuka Umunna MP, Ade Adepitan MBE and MOBO founder and CEO Kanya King. Jamaican dancehall king Popcaan will also be making his MOBO stage debut this year, in one of the rare few UK performances thus far in his impressive career. The 2015 MOBO Award winner for Best Reggae Act – who counts Drake as a fan – is guaranteed to raise the roof in Glasgow. Popcaan is once again up for Best Reggae Act this year. For over two decades, the MOBO Awards have been shining the light on fresh urban music talent in the UK. Household names who have gone on to top charts and tour around the world like Rita Ora, Craig David, Tinie Tempah and countless others have all received their first major awards show performance opportunity at the MOBO Awards. The show continues its proud tradition this Friday with spotlights primed on four talented emerging British urban music acts: Fekky, Section Boyz, Izzy Bizu and WSTRN. Award-winning artist, songwriter and producer Ms. Dynamite and record-breaking multiple Olympic gold medalist Nicola Adams will also be honoured with Paving The Way awards, acknowledging their status as trailblazers in their field who are paving the way for future generations of talent.